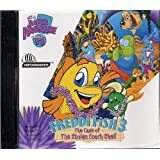 Join freddi fish and luther in this interactive animated adventure! heart-warming characters and engaging adventures come to life through feature-film quality animation, original music and the power of a child's imagination. Very happy. Product was shipped quickly and just as described. Grandkids love these games, and I like them too. Makes them use their problem-solving skills without realizing they're learning. 5.0 out of 5 starsFreddi (and Luther's) Third Great Game! Despite the title, this game is the third, because of the one and one halfth arcade wedged in between the first and second. In this game, a ghost is haunting the schoolhouse and frightening little guppies. You need to build a trap for it. You go around watching movies, playing games, and singing songs as breaks to solving the ever-changing puzzle of how you can find all of the pieces to the trap. Kids will love this game, and parents will love it, too! Kids will learn mapping, problem solving, and social friendship, while having a lot of fun! The age group is what I would call underestimated because even kids much above age 8 can enjoy it! There's a lot of calypso music in the backround that is fun to listen to! (Unfortunatly, the disc is not CD player compatible, so you have to listen to the music on your computer.) You should buy this game, but you can also get it in "A World of Fun and Learning First Grade Edition". 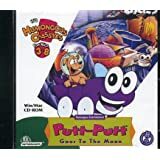 If you liked this game, you'll love Freddi Fish 1, 3, 4, and any other sequels that may be released! You'll also probably like Putt-Putt, Pajama Sam, and SPY Fox games.